CFAI Newsletters (vol.62, vol.63) were published. This lecture will be opened using ISTU (Internet School of Tohoku University). Students can view the video after registration. There are 11 lectures in this class. Students have to see all video completely. If students cancel the viewing at intermediate, it is not counted as attendance. Please confirm your status after viewing. Students have to select three lectures and prepare independent reports about them. The reports should be written in English. The three reports with each cover page including selected lecture title and the teacher's name, students name, student's number, grade and laboratory name should be submitted to Sugihiro Ando via e-mail (sugihiro.ando.a2*tohoku.ac.jp, Please change”*” to “@”) by July 29 (Mon. ), 2019 (First deadline). Second deadline will be announced at next semester. Student who want to use financial aid for study abroad from CFAI have to take this credit. Please check CFAI homepage (http://www.agri.tohoku.ac.jp/cfai/). 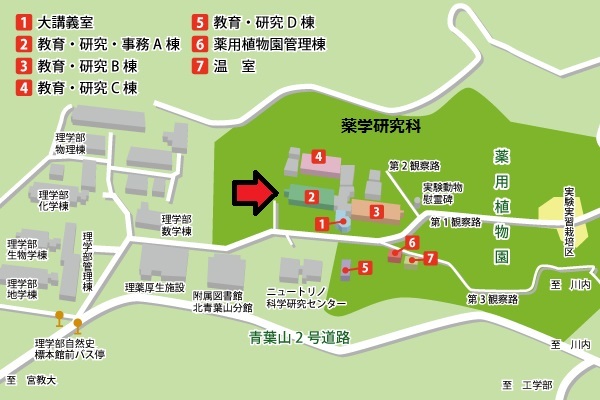 Guidance of Food & Agricultural Immunology Joint Lecture will be held on April 12th (14:40-15:10, lecture room No. 3, Aobayama Commons). This lecture will be opened using ISTU (Internet School of Tohoku University). Students can view the video after registration. There are 14 lectures in this class. Students have to see all video completely. If students cancel the viewing at intermediate, it is not counted as attendance. Please confirm your status after viewing. The reports should be written in English. The three reports with each cover page including selected lecture title and the teacher's name, students name, student's number, grade and laboratory name should be submitted to me (Sugihiro Ando) via e-mail (sugihiro.ando.a2*tohoku.ac.jp, Please change”*” to “@”) by July 29 (Mon. ), 2019. Due to evaluate the reports we cannot accept any reports after the deadline. CFAI Newsletter (vol.61) was published. CFAI Newsletter (vol.60) was published. CFAI Newsletter (vol.59) was published. CFAI Newsletter (vol.58) was published. CFAI Newsletters (vol.55, vol.56, vol.57) were published. This is the announcement of second deadline of report submission for International Food & Agricultural Immunology Lecture. Please do not care about this announcement, if you have already submitted your reports by first deadline (July 30, 2018). This lecture is opened using ISTU (Internet School of Tohoku University). Students can view the video after registration. There are 11 lectures in this class. Students have to see all video completely. If students cancel the viewing at intermediate, it is not counted as attendance. Please confirm your status after viewing. The reports should be written in English. The three reports with each cover page including selected lecture title and the teacher's name, students name, student's number, grade and laboratory name should be submitted to Sugihiro Ando via e-mail (sugihiro.ando.a2*tohoku.ac.jp, Please change”*” to “@”) by January 31 (Thu. ), 2019. CFAI Newsletter (vol.54) was published. "Quality and Quantity of Food: Challenges Posed by People and the Environment. - Assuring the Health of Mother Earth (n=1) and the Health of the People (n=billions) -"
"The Challenges and Opportunities of Biological Science in The Next Decade"
CFAI Newsletters (vol.49, vol.50, vol.51, vol.52, vol.53) were published. 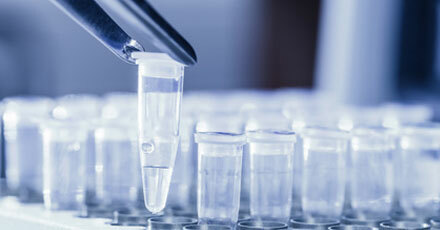 "The Scientific Method of Research"
The system trouble of ISTU is confirmed. The trouble will be improved by system maintenance on August 1. I would like to inform you that the deadline of report submission is put off to August 4. Attendance to the lecture will be checked on August 4. CFAI Newsletter (vol.48) was published. This lecture will be opened using ISTU (Internet School of Tohoku University). Students can view the video within 2 weeks after registration. There are 11 lectures in this class. Students have to see all video completely. If students cancel the viewing at intermediate, it is not counted as attendance. Please confirm your status after viewing. Students have to select three lectures and prepare independent reports about them. The reports should be written in English. The three reports with each cover page including selected lecture title and the teacher's name, students name, student's number, grade and laboratory name should be submitted to me (Sugihiro Ando) via e-mail (sugihiro.ando.a2*tohoku.ac.jp, Please change”*” to “@”) by July 30 (Mon. ), 2018. Guidance of Food & Agricultural Immunology Joint Lecture will be held on April 13th (14:40-15:10, lecture room No. 3). Please check guideline and contents. This lecture will be opened using ISTU (Internet School of Tohoku University). Students can view the video within 2 weeks after registration. There are 14 lectures in this class. Students have to see all video completely. If students cancel the viewing at intermediate, it is not counted as attendance. Please confirm your status after viewing. Students have to select three lectures and prepare independent reports about them. The reports should be written in English. The three reports with each cover page including selected lecture title and the teacher's name, students name, student's number, grade and laboratory name should be submitted to me (Sugihiro Ando) via e-mail (sugihiro.ando.a2*tohoku.ac.jp, Please change”*” to “@”) by July 30 (Mon. ), 2018. Due to evaluate the reports we cannot accept any reports after the deadline. CFAI Newsletters (vol.46, vol.47: in Japanese) were published. CFAI Newsletter (vol.45) was published. CFAI Newsletters (vol.40, vol.44: in Japanese) were published. "The importance of the small intestine in health, a role for the microbiota and probiotics"
CFAI Newsletters (vol.39, vol.41, vol.42, vol.43: in Japanese) were published. We look forward to welcoming you all at this lecture ! Stage 1 and 2: Letures were updated on Youtube. "Looking into the mirror: chirality of amino acids modifies host-microbial interplay and mucosal defense"
The schedule of Food & Agricultural Immunology Joint Lecture is updated. Please check new schedule sheet. Please attend all lectures, choose your interesting 3 lectures and prepare individual report including the brief lecture contents, your impression and opinion. The reports should be written in English. The 3 reports with each cover page including selected lecture title and the teacher's name, your name, student's number, grade and laboratory name should be submitted to Sugihiro Ando via e-mail (sugihiro.ando.a2*tohoku.ac.jp, Please change”*” to “@”) by January 31 (Wed.), 2018. Due to evaluate the reports we cannot accept any reports after the deadline. Stage 3: "Social implementation of new food technology"
CFAI Newsletters (vol.36, vol.37, vol.38: in Japanese) were published. Tohoku Forum for Creativity "New Horizons in Food Science via Agricultural Immunology"
Stage 2: "Food safety and functional evaluation"
Stage 1: "Frontiers in agricultural immunology"
To get credit of this lecture, students have to attend all three international symposiums of Tohoku Forum for Creativity "New Horizons in Food Science via Agricultural Immunology". After the three symposiums, please prepare individual reports which is written about the brief lecture contents, your impression and opinion in English. The stage number, your name, student ID number, grade and laboratory name should be described on cover page of each report. Please submit the reports to Sugihiro Ando by December 15, 2017, via e-mail (sugihiro.ando.a2*tohoku.ac.jp, Please change “*” to “@”.). We cannot accept any reports after the deadline. CFAI Newsletter (vol.35: in Japanese) was published. CFAI Newsletter (vol.34: in Japanese) was published. "Functional genomics as a tool to unveil bioactives compounds in commercial and natives plants in Chile"
CFAI Newsletter (vol.33: in Japanese) was published. Stage 2 Program was updated. Stage 1 Program was updated. "Establishment of international agricultural immunology research-core for a quantum improvement in food safety"
CFAI Newsletters (in Japanese) were published. Please choose your interesting 2 special lectures together with 2nd CFAI International Symposium and prepare individual report including the brief lecture contents, your impression and opinion. The reports written in English are highly recommended. The 3 reports with each cover page including selected lecture title and the teacher's name, your name, student's number, grade and laboratory name should be submitted to Sugihiro Ando via e-mail (sugihiro.ando.a2@tohoku.ac.jp) by January 23 (Mon. ), 2017. Due to evaluate the reports we cannot accept any reports after the deadline. Please choose your interesting 3 lectures and prepare individual report including the brief lecture contents, your impression and opinion. The reports written in English are highly recommended. and is also highly recommended for Master course students. CFAI Newsletter (vol.23: in Japanese) was published.
" Mechanisms of initiation and termination of DNA replication "
CFAI Newsletters (vol.21 and vol.22: in Japanese) were published. CFAI 2nd International Symposium was held. "Current and Future Trends in Food and Agricultural Immunology"
CFAI Newsletters (vol.19 and vol.20: in Japanese) were published. CFAI Newsletters (vol.17 and vol.18: in Japanese) were published. CFAI Newsletter (vol.16: in Japanese) was published. CFAI Newsletter (vol.15: in Japanese) was published. "Structural and thermodynamic insights into the mechanisms of cation-coupled symport"
CFAI Newsletters (vol.12, vol.13, vol.14: in Japanese) were published. CFAI Newsletters (vol.9, vol.10, vol.11: in Japanese) were published. Please choose your interesting 2 special lectures together with 1st CFAI International Symposium and prepare individual report including the brief lecture contents, your impression and opinion. The reports written in english are highly recommended. The 3 reports with each cover page including selected lecture title and the teacher's name, your name, student's number, grade and laboratory name should be submitted to Haruki Kitazawa via e-mail (cfai_e@bios.tohoku.ac.jp) by January 29 (Fri.), 2016. Due to evaluate the reports we can not accept any reports after the deadline. CFAI 1st International Symposium was held. CFAI Newsletters (vol.8: in Japanese) was published. CFAI Newsletters (vol.6 and vol.7: in Japanese) were published. The CFAI home page was opened. Copyright © International Education and Research Center for Food and Agricultural Immunology. All rights reserved.